In every danger, there is opportunity – unless, of course bad stuff catches up to you unawares. We aren’t pessimists, but we can hear alarms, and we can read graphs and columns of numbers. And they are saying things like, “The U.S. Housing Market Looks Headed for Its Worst Slowdown in Years,” (Bloomberg, July 26). A Google image search on “household net worth vs gdp,” tells us that alarms coming from Bloomberg, Forbes, Marketwatch, and others are worth paying attention to. But, before you pull the ripcord, there is one metric for developers to consider in strategic planning: rental vacancy rates over a 20-year period are lower – and headed lower – while homeowner vacancies hold steady. The slight correction indicates a small single-home buying surge in July, written off as a temporary spike (Bonddad, August 24) since the overall trend is evident. Ergo, for strategic purposes, if you are a developer with shovels at the ready, you might consider rental housing. And not just in cities. The growing YIMBY movement to higher-density rental property is spreading outward from the center city to their closer suburbs. To be sure, affordability is putting a strain on both markets, and Pew Research shows rents rising faster than household income (which again, we interpret as an opportunity, since it indicates clear demand for rental housing). The surprise is who is driving this demand: baby boomers. 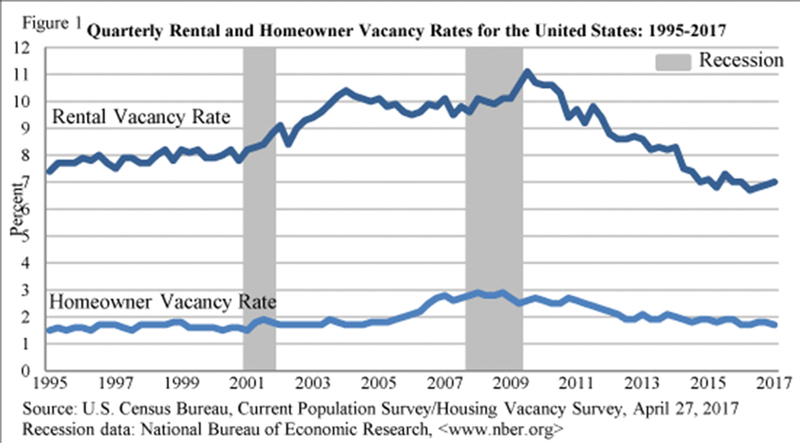 As Pew states, diminishing vacancy rates and rising rents indicate a significant amount of rent burden is becoming a problem. Given the demographics, this trend has several years of life in it; satisfying this demand is a market-based solution to a public policy problem. In terms of correlation, there is a causative element here: housing unaffordability. Housing (un)affordability is currently running at a rate last seen only in 2006, nearly 5 ½ times average household income. Yet, the homeownership rate is substantially lower. “Homeownership still remains out of reach for many Americans, especially for first-time and younger buyers. For existing homes, the median price climbed in June to a record $276,900,” Bloomberg notes. Marketwatch points out that this is price-growth deceleration, not actual deflation, but in a world where a house is an asset (rather than a home), this will keep investors - excuse me, buyers - wary. Boomers, theoretically the market segment with the available income, have been leaving the market, reducing pressure on housing prices - and increasing the pressure on rental costs. Again, we stress, we are not pessimists - every danger is also an opportunity. Clearly a correction is needed. And a correction that meets this demand, lowers pressure on home ownership costs, raises tax revenues for local communities, and provides economic opportunities for property developers is a market-based solution that strikes us as better than any government intervention. 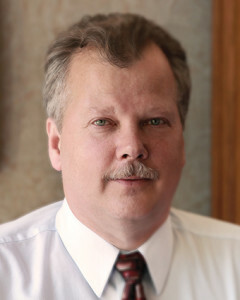 Thomas House, AIA, is principal of THA Architects, LLC, Stratham, N.H.